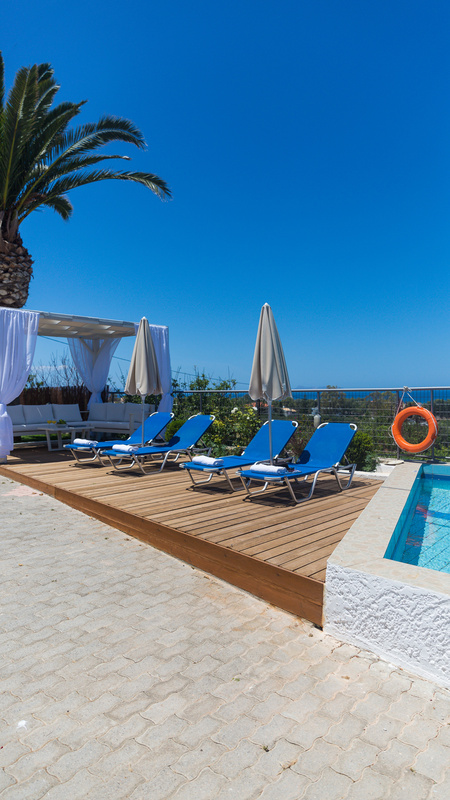 38 m² private swimming pool! 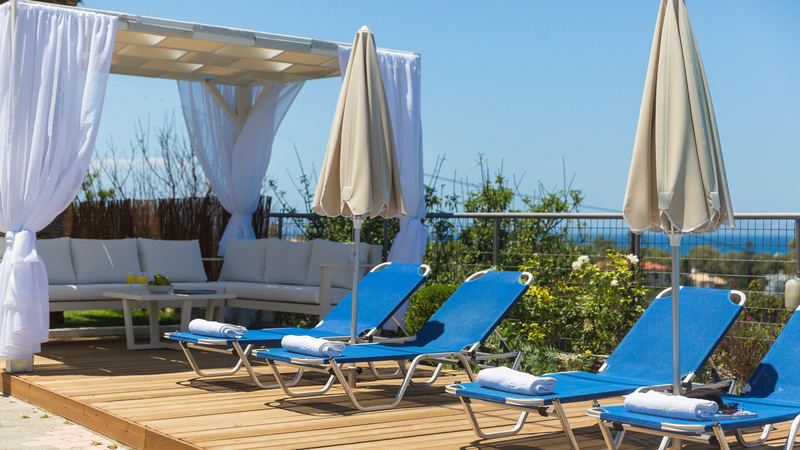 Total relaxation only 500 m from the beach! 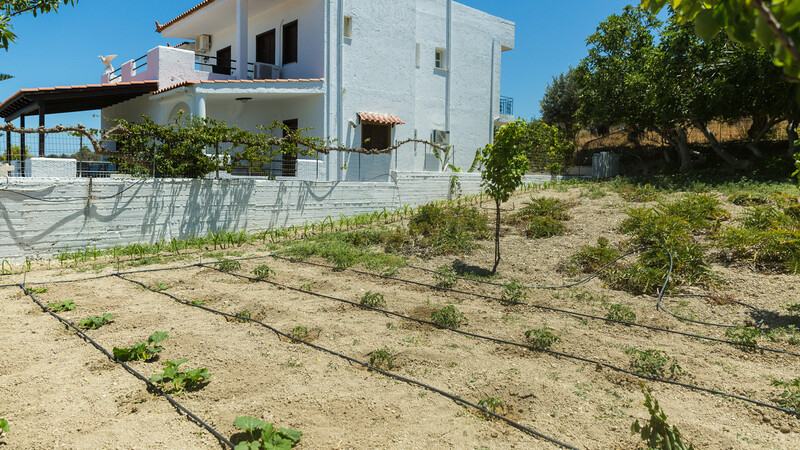 Playground area and our vegetable garden that you can enjoy with your meal! Dining area in veranda, enjoy your meal with sea view! 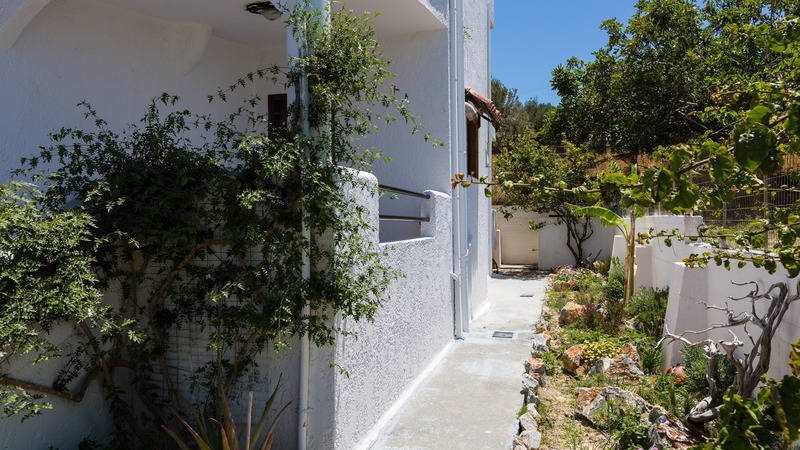 If you want to taste the Cretan hospitality in a quiet family villa which is next to the sea and the living areas but simultaneously isolated from everything, our villa is what you are looking for! 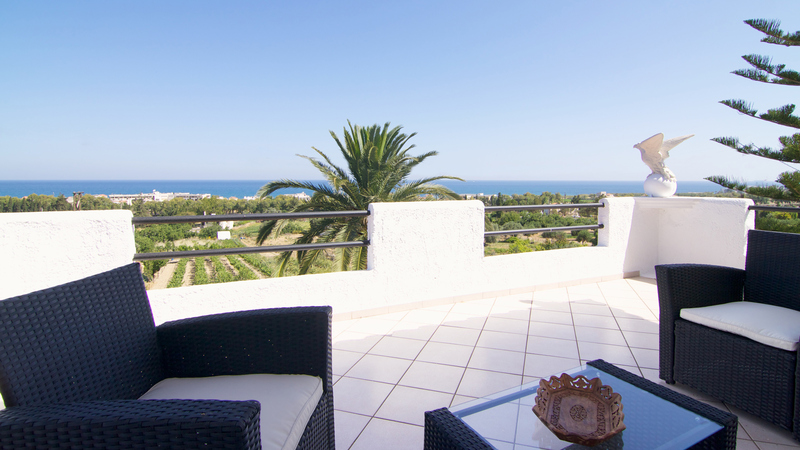 The villa is renovated in 2014 with high standard facilities and ideal for families or groups! 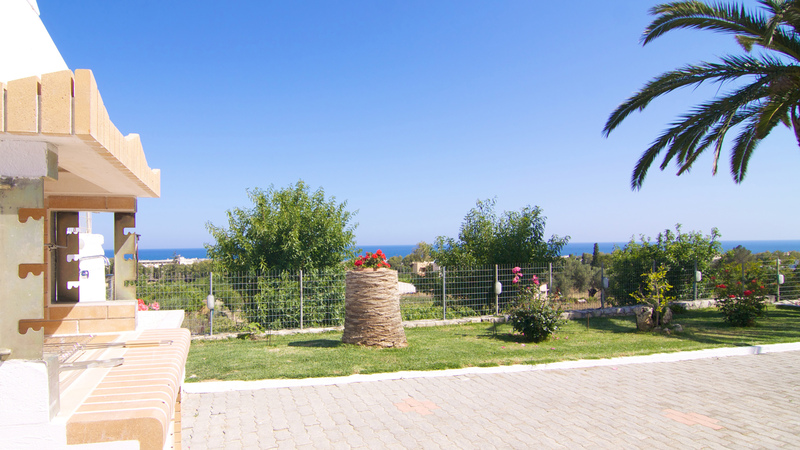 - The villa is located only 1 km away from the beach and amenities like shops, restaurants and supermarkets. 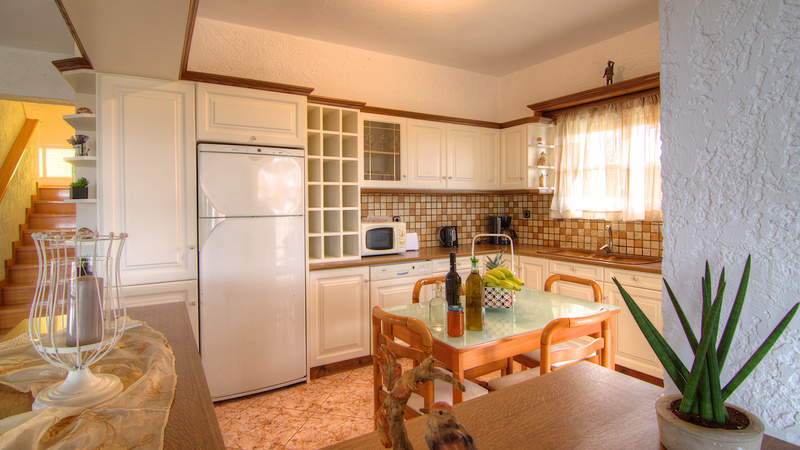 It is in a quiet area but close to everything! 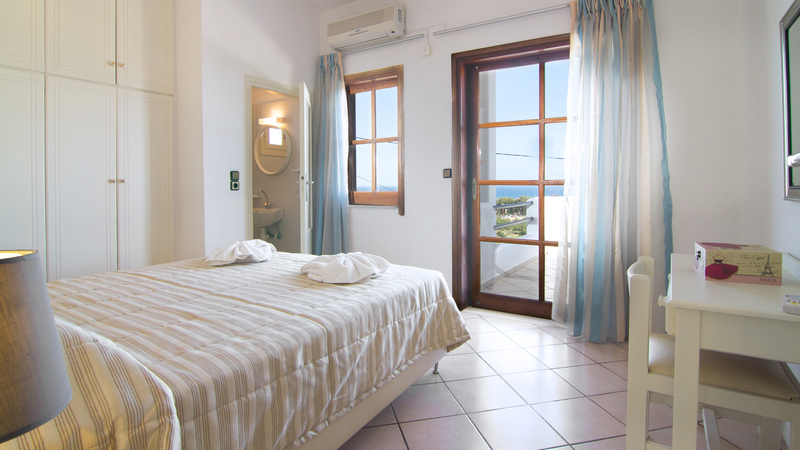 - Ideal for big groups because of the six comfortable bedrooms and the spacious areas both indoor and outdoor. 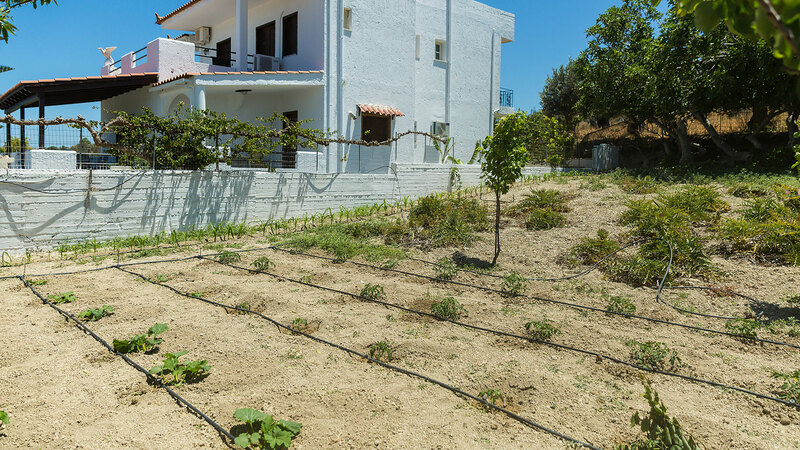 - Vegetable garden which you can enjoy with your meal. 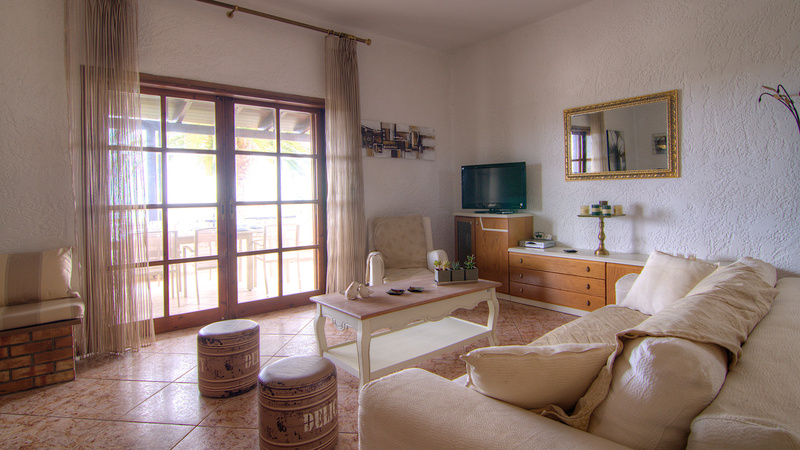 -You can stay in our villa without renting a car! 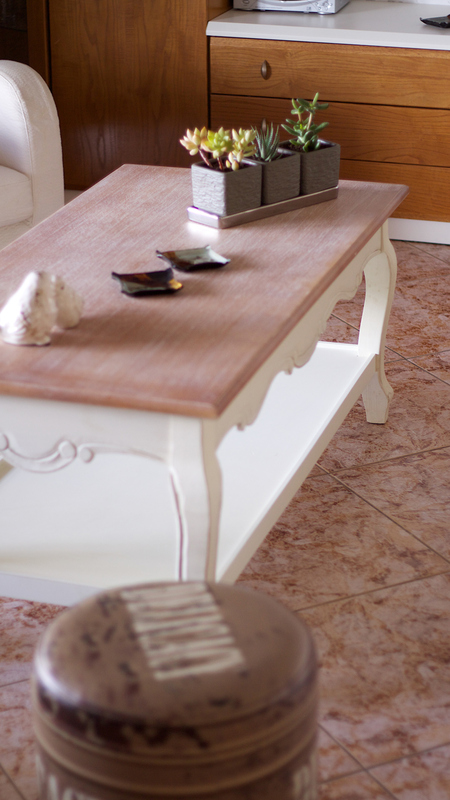 You can find everything in a walking distance from the villa. 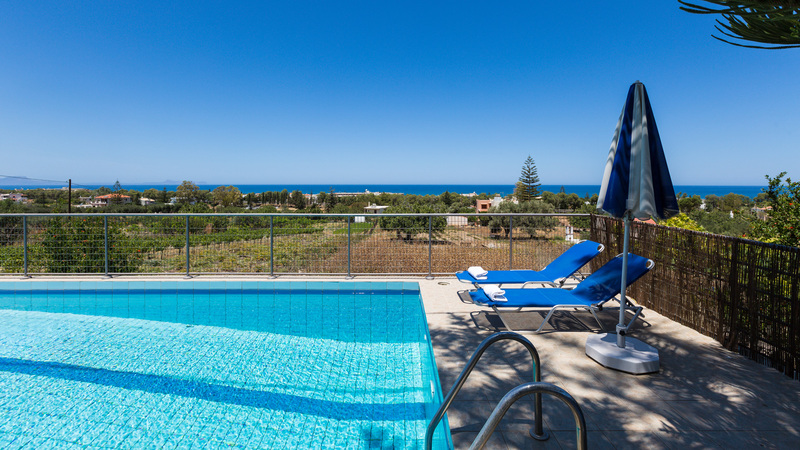 Also the bus station to Platanias area or to Rethymno town is 2 minutes away on foot. 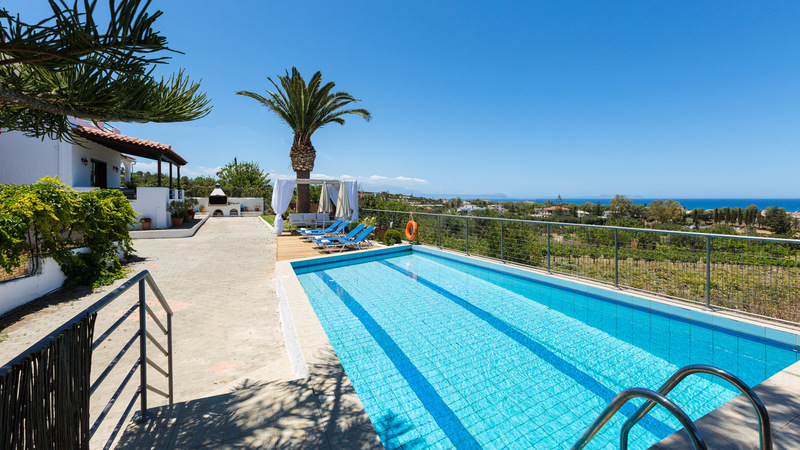 - Platanias area where you can find all kind of entertainment like bars, cafes, nightclubs and beach bars is less than 5 minutes away by car or bus. 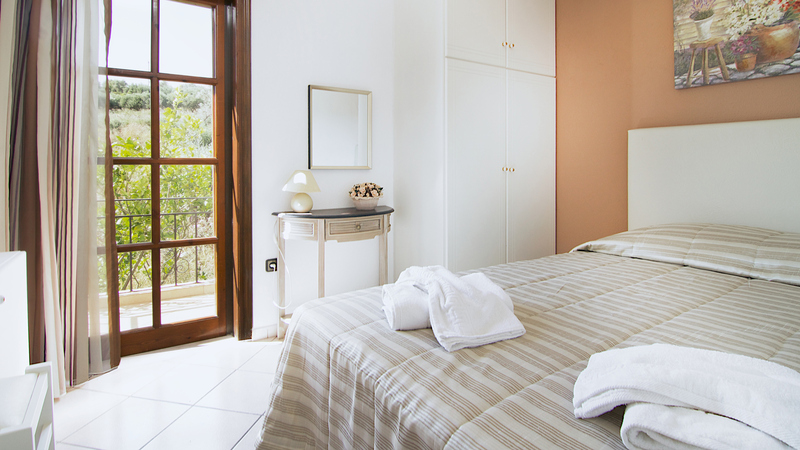 - The hospitality of the owners who will be there for you to advise you and help you in order to have your best vacations in our island! 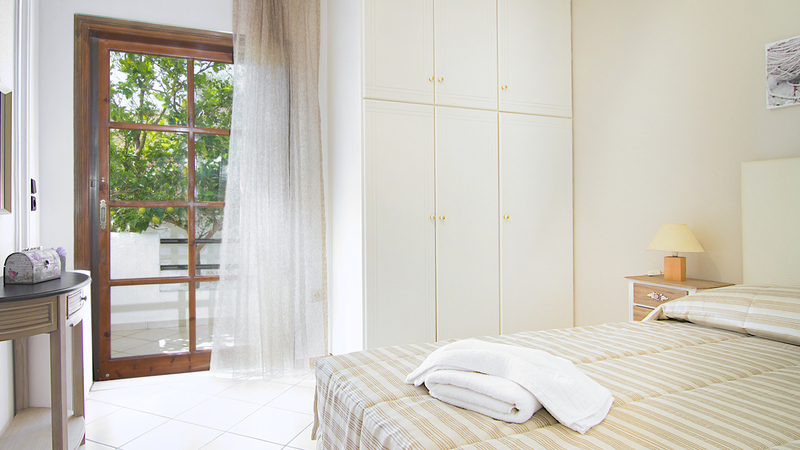 The villa can accommodate 12 people in beds and up to 14 people. On the ground floor you will find a large open plan living area with a well-equipped kitchen, a comfortable seating area with fireplace, large comfortable sofas and a satellite TV. 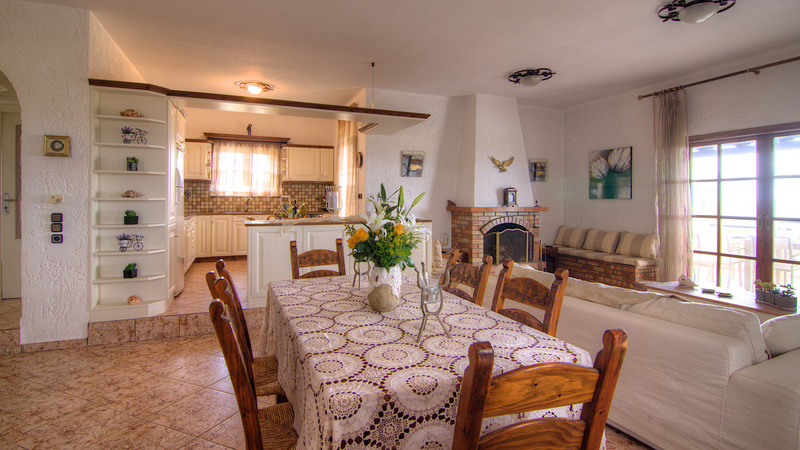 Near the living room area there is also a dining table for more than 10 people. 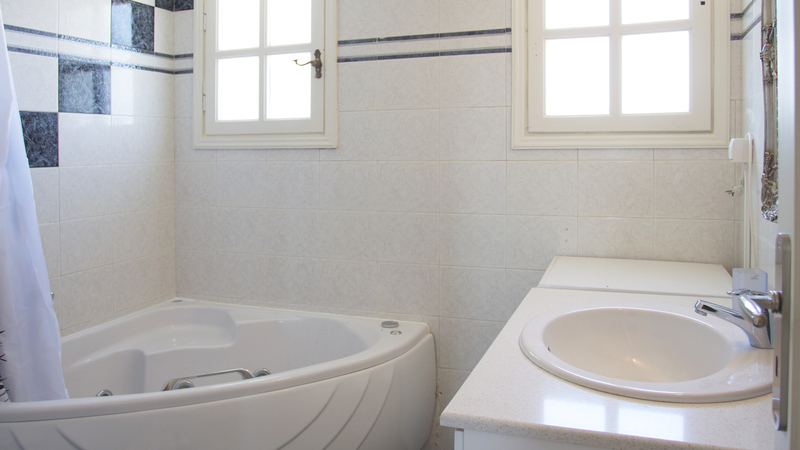 In the same floor you will find a bathroom with a bathtub and two bedrooms, one double-bedded and one with 2 single beds. 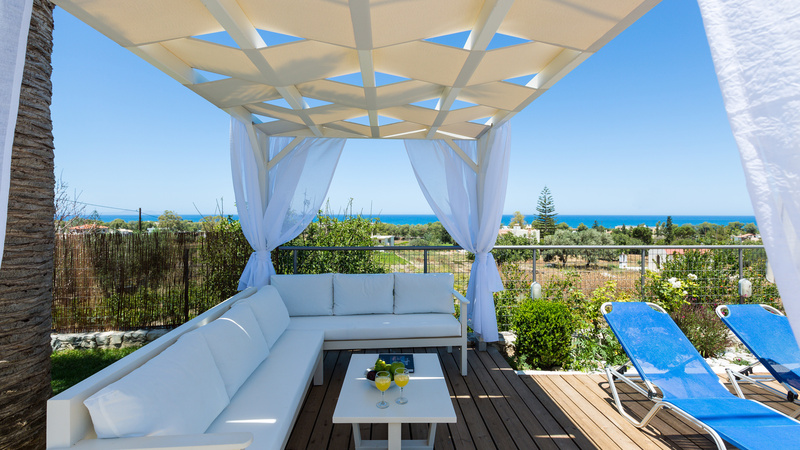 From the living area you can access to a large roofed veranda with a dinging table and provides a perfect environment to have an open-air meal! 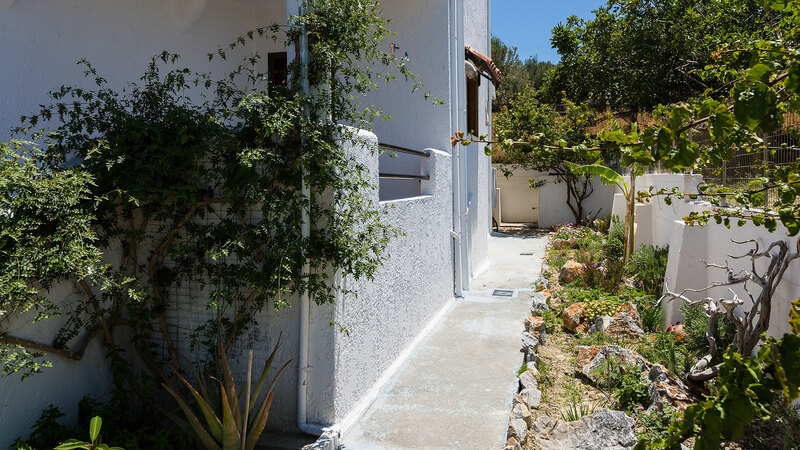 On the first floor via a wide wooden staircase, there are four more bedrooms with double beds. 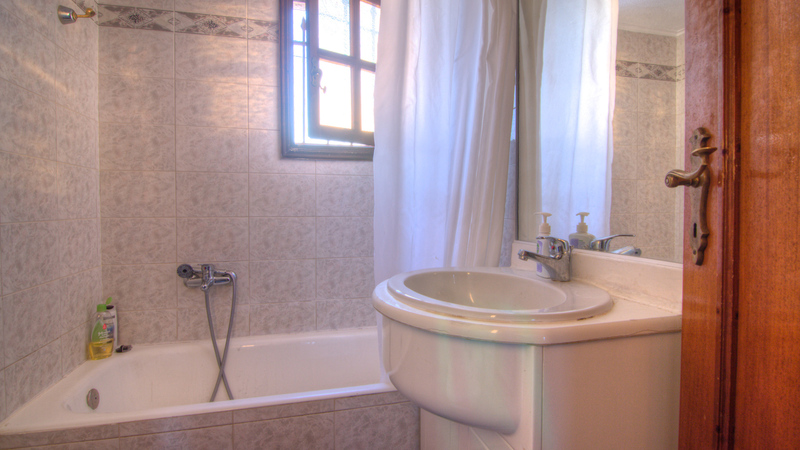 The main bedroom has an en-suite toilet and there is also a main bathroom with Jacuzzi. 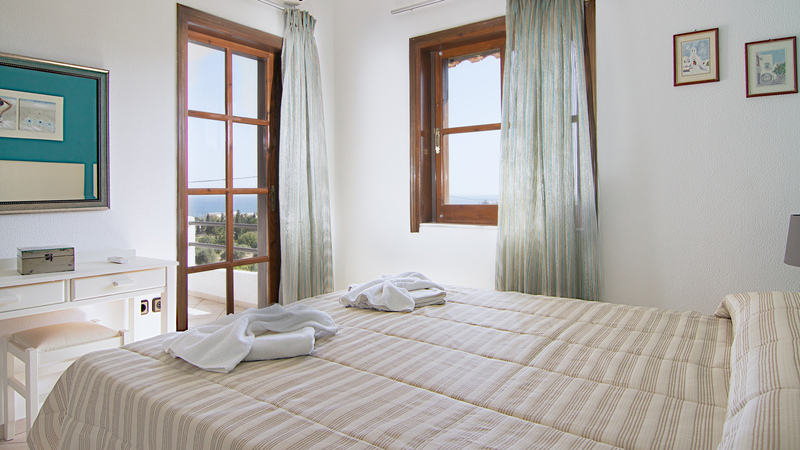 All the bedrooms have access to balcony or outside and the dynamic sea view from balcony on the first floor is truly breathtaking. 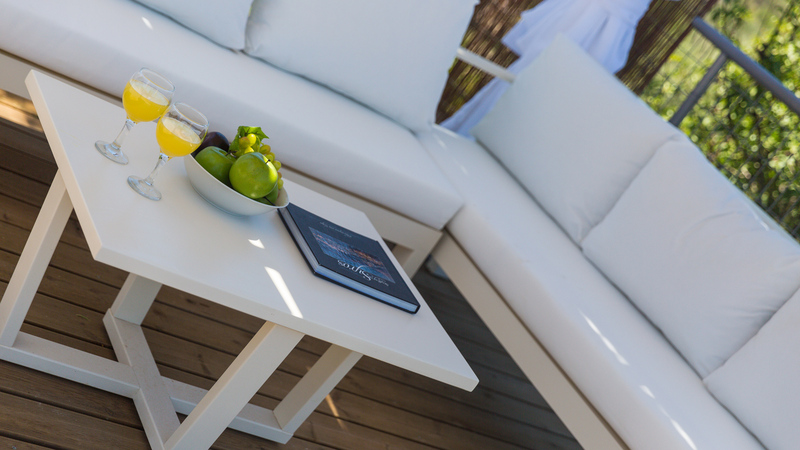 There are several seating areas both indoor and outdoor and you can always find a place to relax! 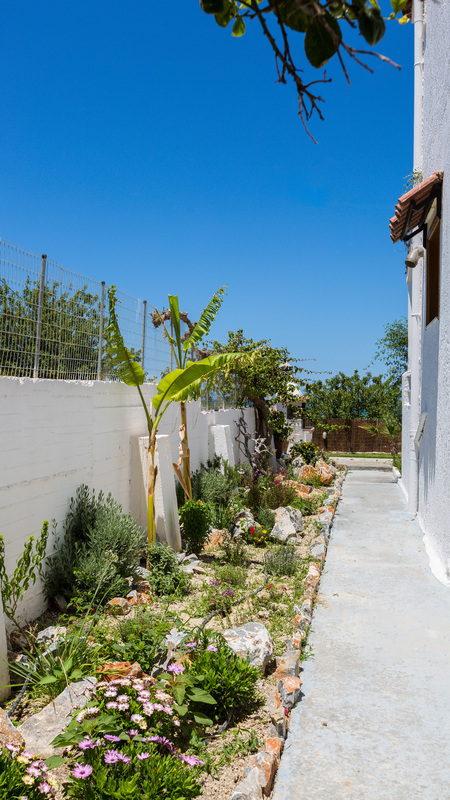 On the outside, you will find our flower and vegetable garden which you can use for your meals! We also have a fully equipped barbecue with a sink. 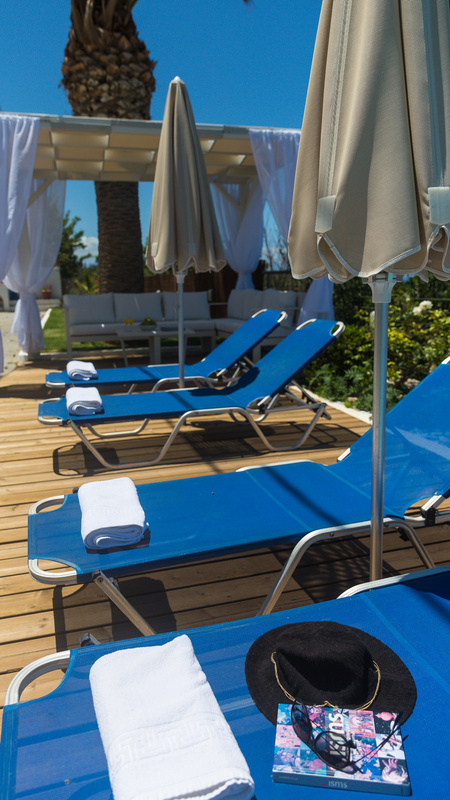 Our private swimming pool is in a paved surrounding set with sunbeds and sun umbrellas. 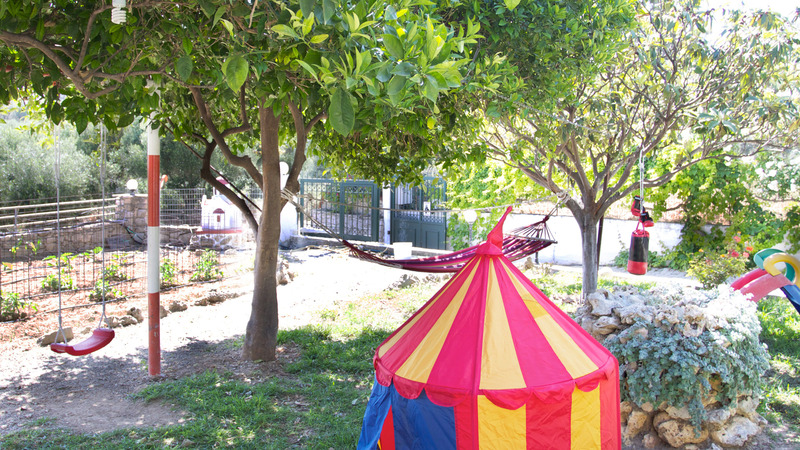 Moreover, we have a playground area for children with some toys and a hammock to spend their day with fun! 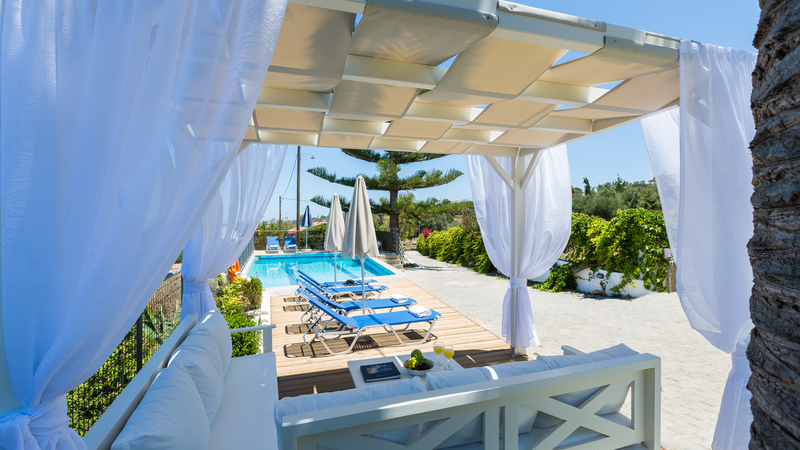 Outdoors area with swimming pool, sun beds, sun umbrellas and outdoor furniture! 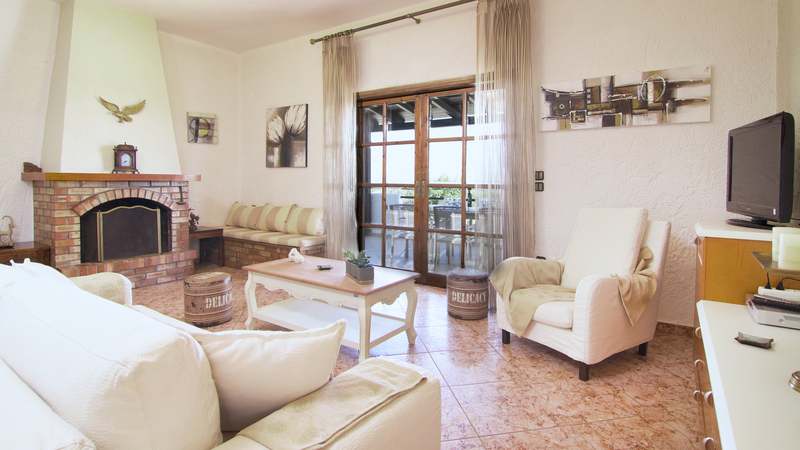 On the ground floor you will find a large open plan living area with a well-equipped kitchen, a comfortable seating area with fireplace, large comfortable sofas and a satellite TV. 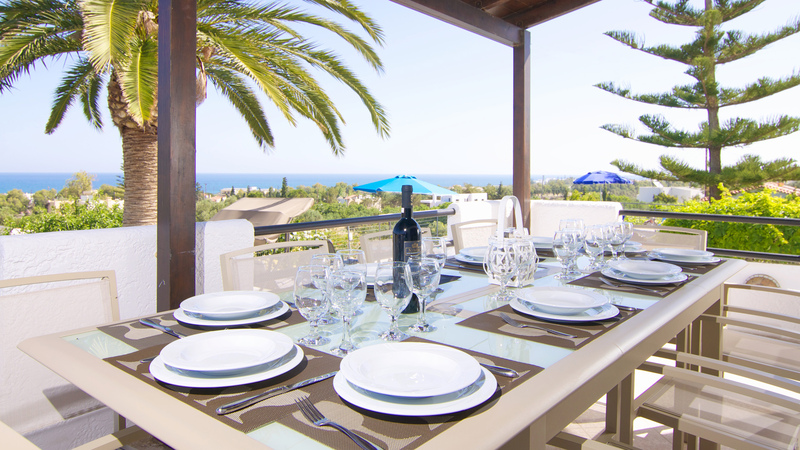 Near the living room area there is also a dining table for more than 10 people.From the living area you can access to a large roofed veranda with a dinging table and provides a perfect environment to have an open-air meal! There are two dinning tables in the villa! One is in the kitchen area and the other one is in the vedanta next to the living room. We will provide a highchair if it is necessary. There are many ways to enjoy our garden area! 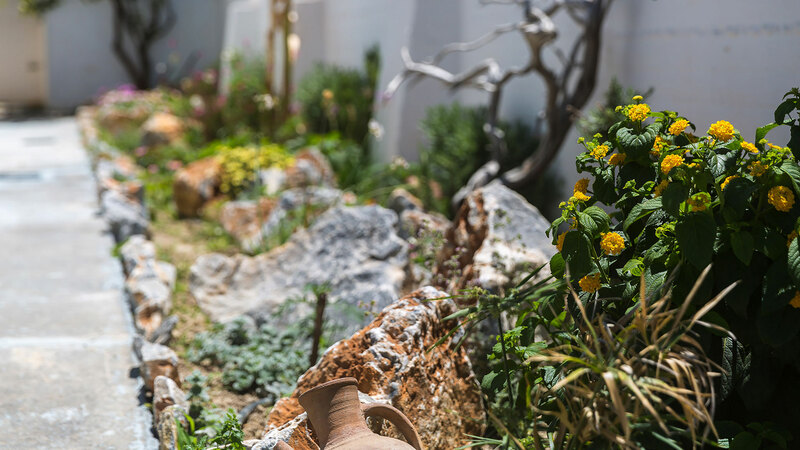 You will find our beautiful flowers and vegetable gardens and of course you can use fresh vegetables from there for your meals. 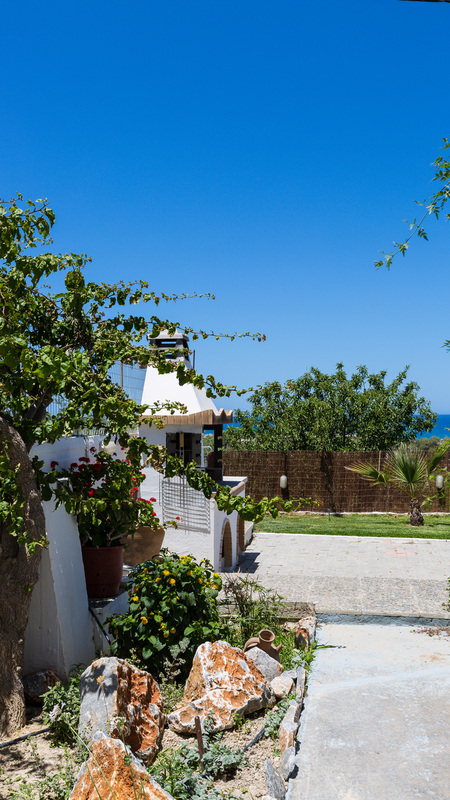 In the garden area there are also a private swimming pool, barbecue area and playground area for children with some toys and a hammock.